Dominique began her fascination with small, shiny objects at the age of 3 when her grandmother introduced her to a tin of broken bead necklaces. 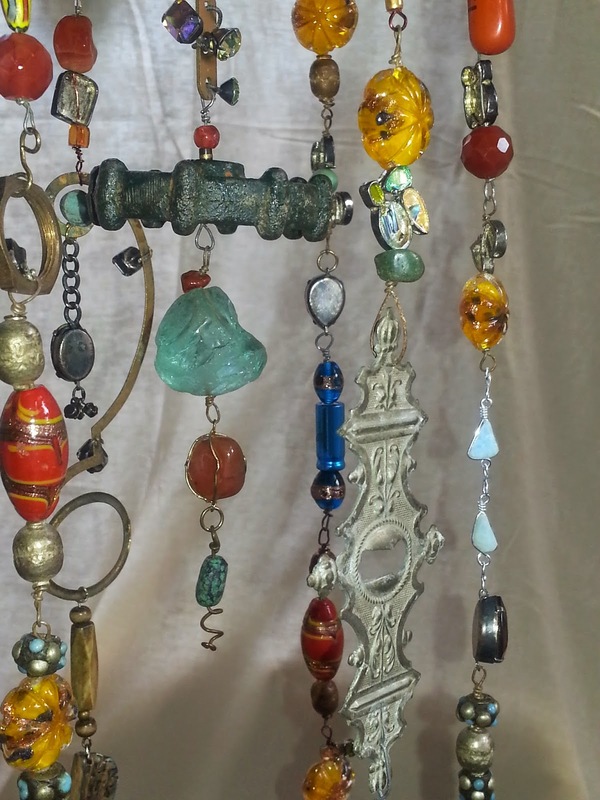 Over the years, she explored the concept of "eye candy" as a jewelry artist creating one of a kind pieces of wearable art that were each unique, asymmetrical, yet perfectly balanced. Her progression into sculpture and incorporating found objects into larger works was a natural step; integrating rusty relics with precious jewels. 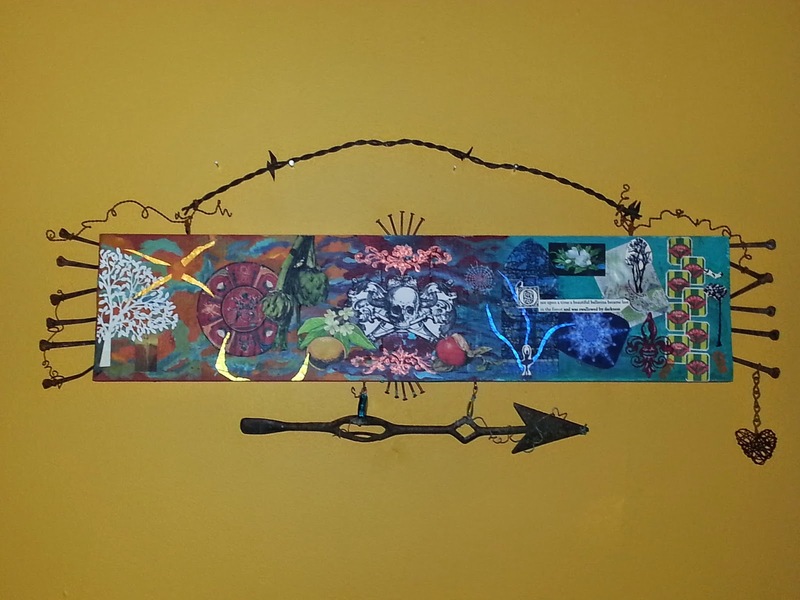 Each piece contains a story, a root and a reason. Dominique travels frequently to France discovering treasures in flea markets, churchyards and farmsteads and currently lives in Mpls, MN. 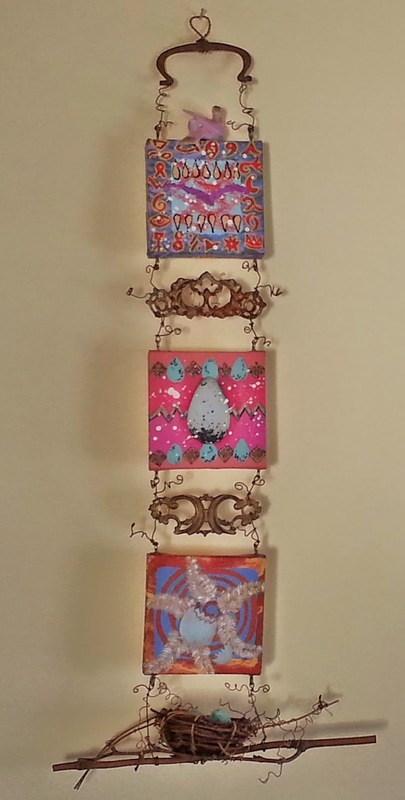 Her paintings and sculptural objects have been shown in group shows at Altered Esthetics and she was a featured artist in the Speakeasy at VOICES IX in Dubuque, IA. 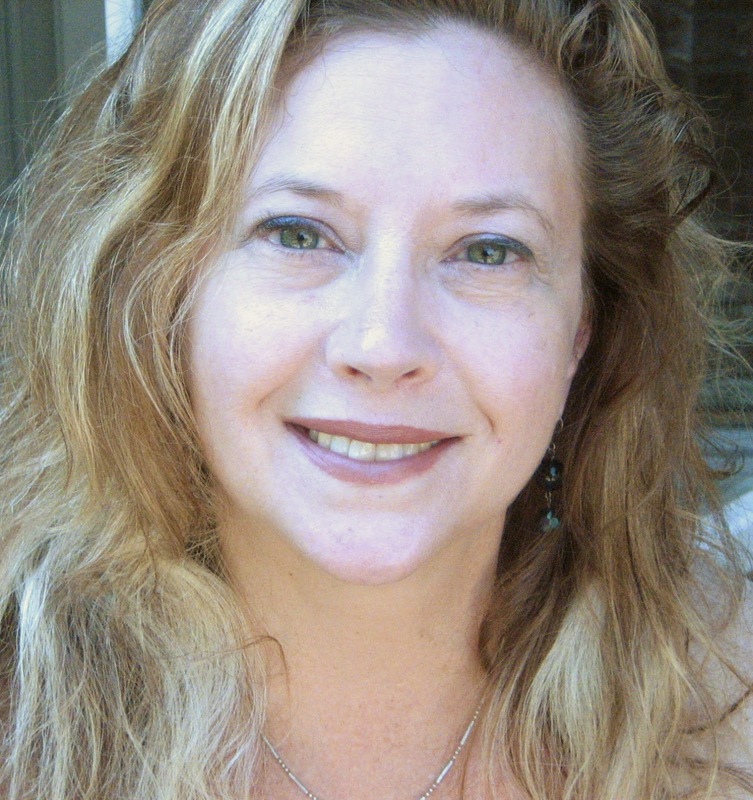 This year, she participated in the Altered Esthetics Solo Artist Exhibition program and joined the co-op gallery, Tres Leches Art in Northrup King Building in November, 2014. My current body of work is entitled "Giant's Jewelry" and the project is composed of wire sculptures and wire accented paintings. "Giant's Jewelry" conceptualizes the post-apocalyptic adornment created by tribal societies in a world left in ruins. Religious relics, vines of wire and semi- precious stones are combined with discarded, found objects in various states of disintegration and decay. Even after The End, there will be unpredictable beauty found in imperfection and chaos. Represented in these pieces is the scope of human existence; suffering, sustenance, tension, opposition, hope, despair, endurance, memory and the tenuous balance between mankind and nature. 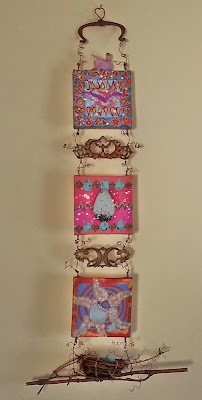 The pieces are allegorical and include wall hangings, mobiles and most recently, I have been painting and embellishing the pieces with wire and metal findings. When did you decide to become and artist? I did not make a conscious decision to become an artist, it is just part of my nature. I like thinking out of the box. I used to be very concerned with rendering an image as precisely as possible so be sure that the meaning didn't get lost in the piece but then an artist friend demanded that I don't hold back. He said, "Don't be afraid of the paint." I liked that idea. It gave me freedom to follow the will of the medium as opposed to me trying to be so exact. How do you sell your art? I have just started this year to branch out and find the courage to exhibit my art. 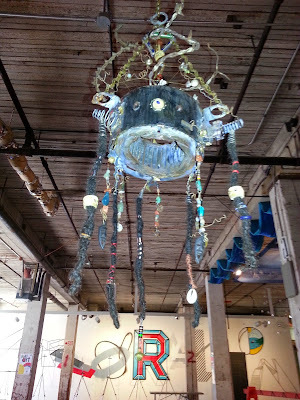 I have a profile on mnartists.org and am now a member of the Tres Leches Art co-op gallery at Northrup King Building. There are many artists I appreciate. The 2 who come to mind are Aldo Moroni for his dedication to a theme, Jim Denomie for his explosive use of color. I have always been a fan of Gallery 13, I am intrigued by Public Functionary shows and I love Franconia Sculpture Park. I look at the mnartists.org website almost everyday and I am so excited with their new format. I have several friends who are dedicated patrons of the arts and they help me stay connected to shows. For other art news, I get updates on Facebook from Art Times, Steampunk sites, MoMA, The Paris Review. Nomad World Pub on Cedar Ave. Thursday Nov 13 2014 6-8 pm. Musical guests: Meme. Ongoing - Tres Leches Art 1500 Jackson NE in the Northrup King Building 1st Floor.